After weeks of wiggling with movement so slight it could only be measured by NASA, one night I finally felt a slight movement with my own bare fingertips. The tooth was finally going to come out soon. However, I found out that soon is a relative term. Wiggling, wriggling, and jiggling. More wiggling. It seemed that the thing was never going to actually come out until one night with Kleenex in hand and thoughts of pliers, I got a good grip on the little sucker and twisted. I almost had it! The crying didn’t start until she saw the blood, then she wouldn’t let me get my hands back on that little tooth. I was banned. There it was, hanging by one little root. You wouldn’t think a tooth could hang by a root for long, at least I didn’t. Well, guess what? It can hang on for as many days as it takes to get the kids to spend the night with the grandparents. Did you know that the Tooth Fairy actually leaves the tooth when it comes out at Granddad & Gama’s house? So, the Tooth Fairy came twice. The decision to buy a first home can be a little like the process of pulling a tooth. 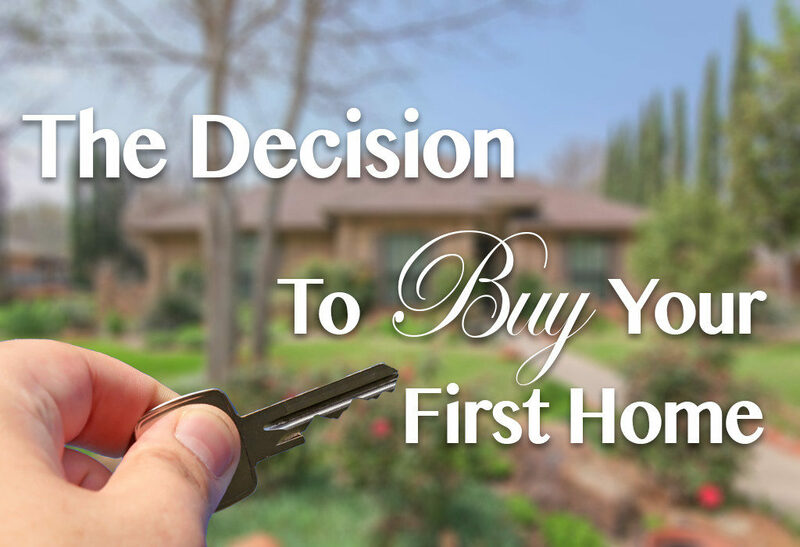 First-time buyers often put themselves through weeks, months, or years or wiggling, wriggling, and jiggling while trying to decide if it is the right time to buy. Many go through the process of looking and looking and looking, watching rates, over analyzing, and creating paralysis by analysis. The real reason they are delaying has nothing to do with the market and has everything to do with fear. If they would just take that step, grab a Kleenex and pull, they would stop throwing money away on rent and begin to build equity in a home of their own.